After receiving this prayer, Sister Mary of St. Peter was given a vision in which she saw the Sacred Heart of Jesus delightfully wounded by this "Go/den Arrow" as torrents of graces streamed from It for the conversion of sinners. 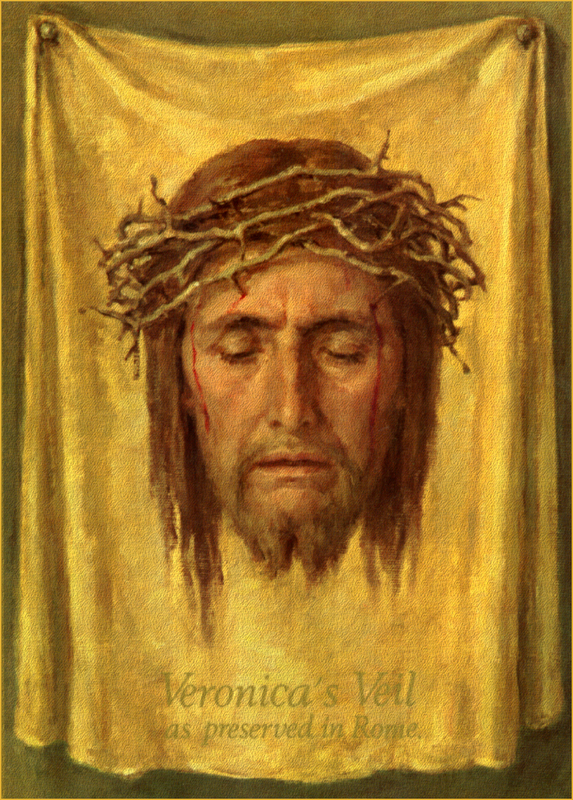 ETERNAL FATHER, we offer You the Holy Face of Jesus, covered with blood, sweat, dust and spittle, in reparation for the crimes of communists, blasphemers, and for the profaners of the Holy Name and of the Holy Day. AMEN. Our Lord told Sister Mary ot St. Peter that the Image ot His Holy Face is like a Divine Stamp which, it applied to souls, through prayer, has the power of imprinting anew within them the Image ot God. AS THE NOBLE STAMP OF DIVINITY! SO THAT "THE IMAGE OF GOD MAY ONCE MORE BE REPRODUCED BY ITS IMPRINT IN OUR SOULS. AMEN.